Submissions to this category MUST be your own work and not cut and pasted from someone else! These photographs should represent elements of “Thanksgiving” not just the holiday but the emotion, family, Christ, Salvation, our spiritual journey. Please limit your photo entries to five photos. Submissions to this category MUST be your own work and not cut and pasted from someone else! Again the topic is Thanksgiving and as mentioned above should include some of these thematic elements. Please utilize a total of 750 words, less is fine , but no more that 750 words. 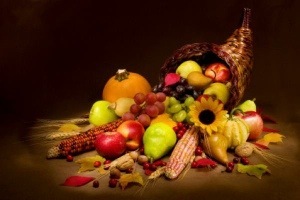 Again the topic is Thanksgiving and as mentioned above should include some of these thematic elements. Please utilize a total of 800 words, less is fine but more will be rejected. The winners will be post here on this blog site and will receive a bag of Starbucks Coffee (hey I wish I had cash prizes to give you but I’m a broke Pastor with four kids to feed). I will accept international submissions and if chosen I will post your submission here, but I WILL NOT be able to mail you coffee (sorry). Previous Post Previous post:21,000 Views!